I have recently been following a Massive Open Online Course run by iversity on Disasters and Ecosystems: Resilience in a Changing World. After completing the Leadership track course, I thought I would share some of the concepts and case studies with you all before I begin the Expert track course. Ecosystem Disaster Risk Reduction or ‘Eco-DRR’ involves sustainable management of ecosystems and disaster risk reduction. Its aim is to use green (think environmental) rather than grey (think concrete) options to reduce disaster risk. Hazard: ecosystems can prevent or mitigate the hazard. For example, the protection forests in mountainous areas of Switzerland decrease the risk of avalanches, landslides and rockfalls. Over 50% of forests in Switzerland are protection forests. These were planted in the 1980s to protect against landslides, rockfalls, and avalanches. They are very effective at protecting human assets at the base of mountains and in valleys. Exposure: ecosystems can provide natural buffers against hazards. For example, sand dunes are fantastic natural buffers against hurricanes. After Hurricane Sandy, there was a clear difference in the destruction experienced by communities on the coast with healthy sand dunes, vegetation and wetlands, and the communities where the natural sand dunes had been removed. After Hurricane Sandy, the US government has spent US$ 40 million in buying back homes affected by Hurricane Sandy to create green spaces for coastal buffer zones. Vulnerability: ecosystems can supply livelihoods before, during and after disasters. For example, in Orissa, India, healthy wetlands regulate flood waters and at the same time provide fishing opportunities and farming benefits. The benefits of Eco-DRR are many; there are social, economic, and environmental benefits as well as decreasing disaster risk. Eco-DRR presents benefits all around. For example, in South Africa the IUCN Working for Water project has created jobs, helped water production, flood risk management, and biodiversity conservation. Human losses as a result of natural disasters are decreasing on a global scale, but economic losses are increasing. This has implications on development progress of the less developed countries which are often most susceptible and vulnerable to disasters. By adopting Eco-DRR projects, multiple benefits to the economy and social structure of a community will be experienced, as well as increasing the ability of communities to cope with disasters. Cities are and will become a huge risk in the future, particularly from flooding. Green areas within cities can increase infiltration rates of rainfall and the storage capacity in cities to decrease flood risks. The green areas will also provide multiple social benefits. Eco-DRR is cost-effective compared to grey infrastructure options for DRR. Grey infrastructure is costly and sometimes fails: for example, levees broke in Louisiana due to Hurricane Katrina in 2005, and the 2011 Japan tsunami flowed over the sea walls. Unfortunately, there are only a few examples where green vs. grey measures have been directly compared. The multi-sector benefits of Eco-DRR is a big advantage because often people who are at risk of natural hazards and most vulnerable are less worried about disasters (seen as something that ‘might’ happen in the future) than about daily hazards (such as making enough money to eat, and maintenance of their livelihood). They can therefore be less engaged and invested in DRR schemes as a result. By addressing their livelihood, social, and economic concerns (and involving them in the process), DRR can occur in parallel. 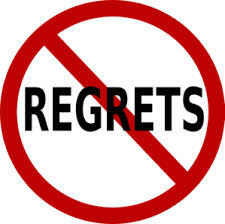 Eco-DRR is widely considered a ‘No Regrets’ option. What are the barriers to Eco-DRR? From what I have seen so far, there do not appear to be any drawbacks to Eco-DRR, however, there are potential barriers to Eco-DRR. Mathematical calculation of the benefits from Eco-DRR is not currently available. Also, widespread guidance is not available for green or bio-engineering. On the other hand, hard engineering benefits are mathematically calculable, have been around for a long time, and have national policies for guidance. Eco-DRR can not only provide benefits to other sectors (e.g. social and economic), but can also provide and integrate well into a more sustainable and holistic approach to disaster ‘problem solving’. For example, Sikles, Nepal, was experiencing more frequent landslides due to climate change affecting rainfall patterns. The villagers in this remote mountainous region have invested in several schemes to address this. Trees have been planted to protect houses against landslides, which also provide a source of timber and fuel for the locals. Ecosystem conservation is integrated into the education system for all school children. Hydroelectric power from clear mountain streams provides each household with consistent, clean energy, reducing the need to cut timber for fuel. Efficient and smokeless cook stoves also reduce fuel consumption. By tackling the issue from multiple directions, and using Eco-DRR, the schemes are more sustainable and therefore more successful. From what I have seen and read so far, Eco-DRR seems to be a great approach to tackling disaster and climate change issues affecting our world today, particularly by tackling all three parts of the Risk equation, and by being of benefit to multiple sectors. It helps those at risk and vulnerable to disasters, and at the same time progresses their development and ability to cope. Not just for the chance of a disaster occurring in the future, but for their day-to-day struggle and survival. In January 2011, Rio de Janeiro experienced severe flooding and landslides, killing 900 people. There are now efforts to restore and protect forests which were over-exploited by agriculture and urbanisation. Coral reefs and sea grasses provide 40% improved coastal protection against beach erosion and storm surges in Jamaica. After Typhoon Yolanda, the Philippine government has invested US$ 8 million towards mangrove rehabilitation. In Sri Lanka the 2004 tsunami did not injure anyone at the Yala Park ecosystem resort because the dune system protected the resort, which was also built on stilts. Further down the coast, at a resort where the dunes had been removed, the tsunami killed 20 people. Damage and losses from disasters in agriculture. Do we know enough?